Galway whiskey bar, Sonny Molloy’s, has achieved a world 1st with its release of a 16 year old single cask bottling of Redbreast whiskey. 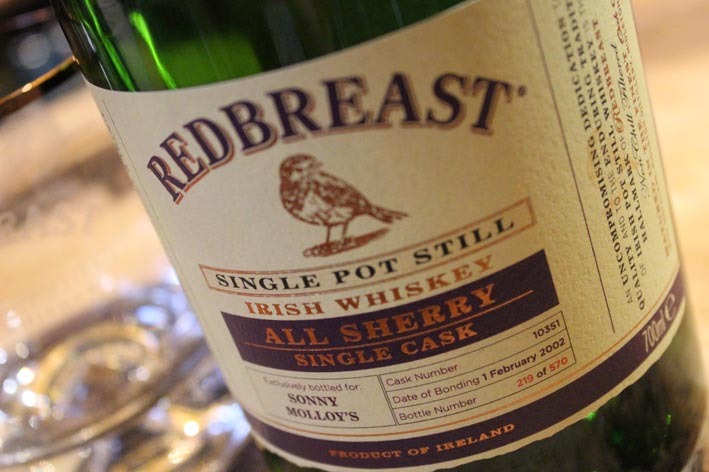 This is the 1st time that Irish Distillers has produced a Redbreast bottling for a bar. 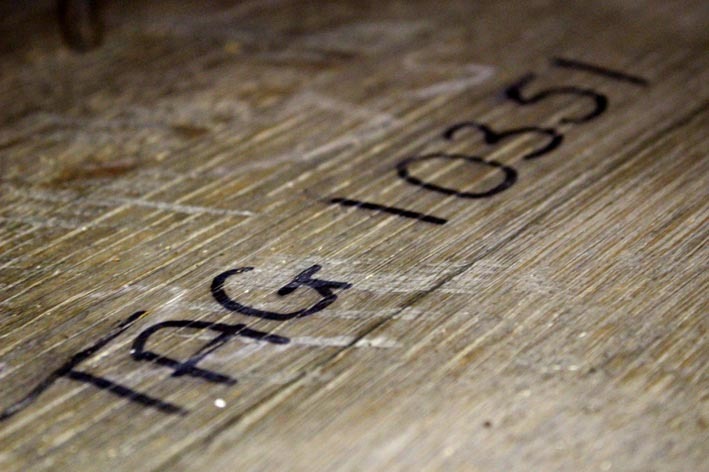 Being a single cask, the whiskey is a limited release with a total of 570 individually numbered bottles, of which only 200 have been released for sale to the general public. The bottle is presented with 2 bespoke Galway Crystal whiskey glasses along with a certificate of authenticity and carries a price of €345.00 at time of launch. The whiskey will also be available in standard measures in Sonny Molloy’s until stocks run out. We understand the price for a standard measure (35.5ml) will be €28.50. Speaking to The Cask Magazine at the launch event, Aoife Carney (Marketing & PR Manager for Sonny Molloy’s) explained that the collaboration that culminated in the 1st bottling of a Single Cask of Redbreast for a pub was a natural fit as Sonny Molloy’s has long been associated with Irish Distiller’s brands and may be the only pub where a measure of the famed Midleton Pearl can be purchased. Brian Nation (Master Distiller) was on hand at the packed launch event to personally autograph bottles and certificates for keen buyers. The event was also attended by Claire Tolan (Managing Director IDL), Ger Buckley (Master Cooper), Cormac Murphy (Head of Key Accounts, Ireland), Michael MaGuire (On-Trade Sales Director) and Gerard Garland (Advocacy Team Manager & Irish Whiskey Ambassador). Bottles of this historic whiskey are available from Sonny Molloy’s and McCambridge’s of Galway while stocks last. 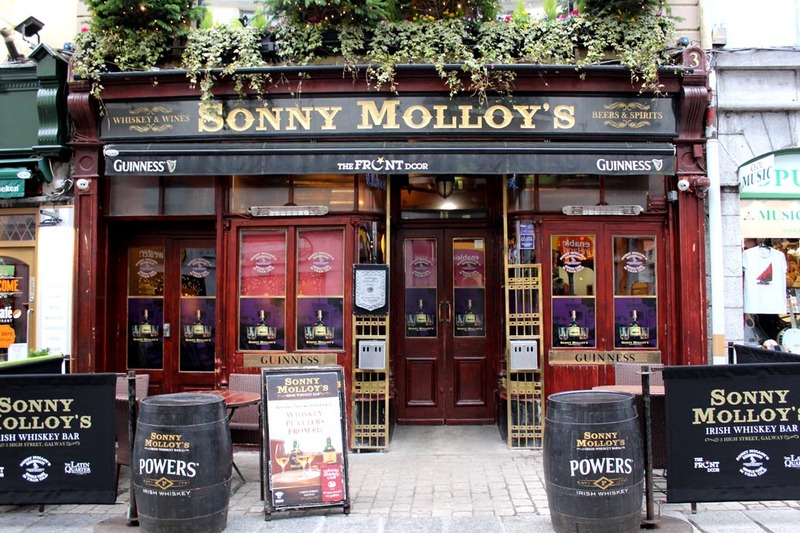 Located in the heart of Galway city, Sonny Molloy’s is one of Ireland’s premiere whiskey bars. It is a tourist favorite especially among tourists following Ireland’s ‘Wild Atlantic Way’. Sonny Molloy’s is featured on the Galway Whiskey Trail and is one of the only establishments in the world with a full collection of Midleton Very Rare whiskey. The Sonny Molloy’s ‘Whiskey Tasting Experience’ is rated as one of the best in the country. Stocking over 170 whiskies, it is considered to be a ‘must visit’ whiskey bar for whiskey enthusiasts.